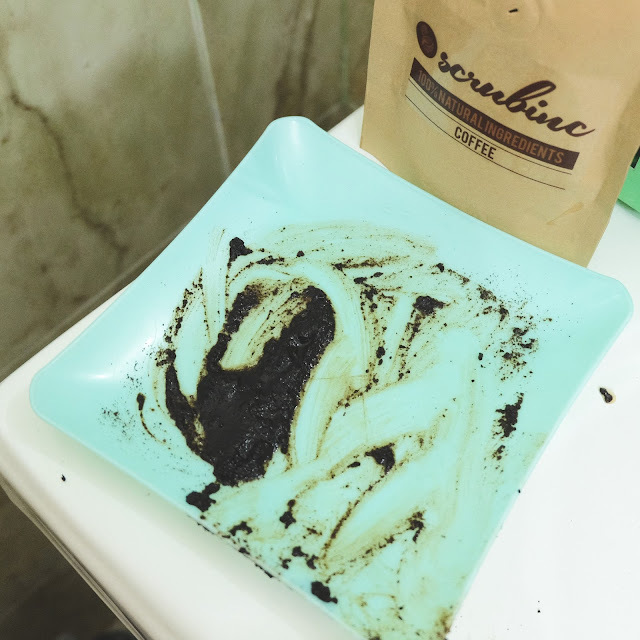 Just gave a try for Scrub Inc (Instagram: @scrubinc) natural coffee body scrub, home made and fresh! 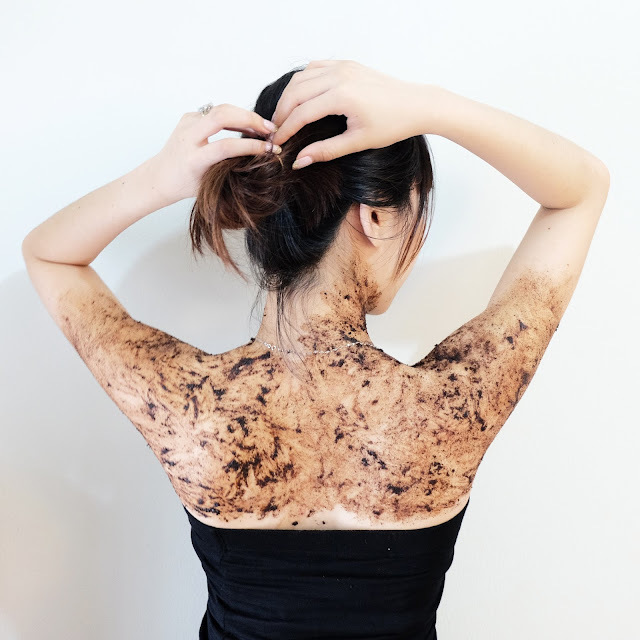 I am not into scrubbing kind of girl, but when i tried the scrub.. It is exceptional. 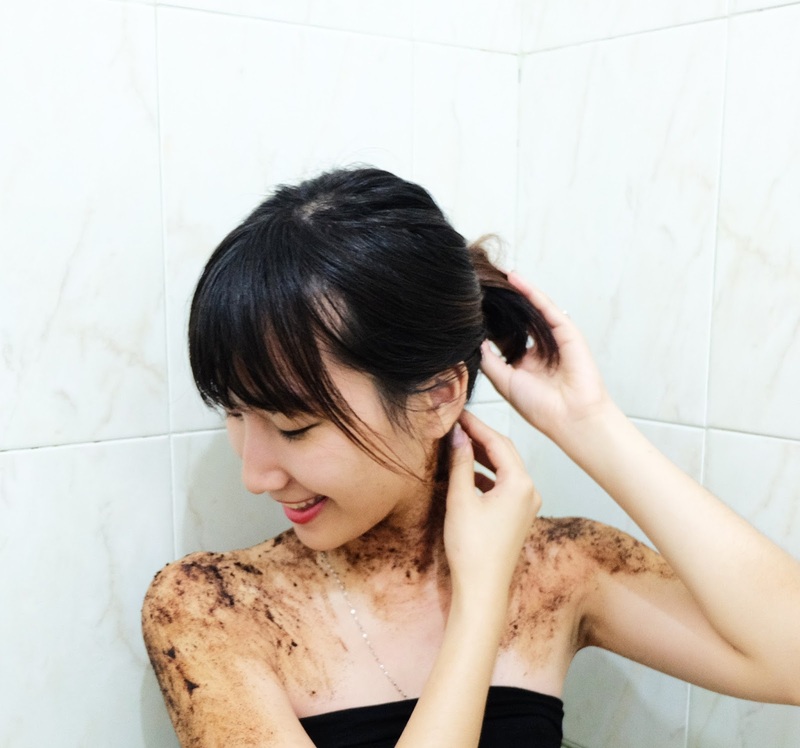 Usually, what i dont like from body scrubbing is the feeling of too greasy, slippery on my skin, so it left me the whole day feeling like i haven't washed away the soap clearly! Turned out, the scrub here is very easy to be washed away. 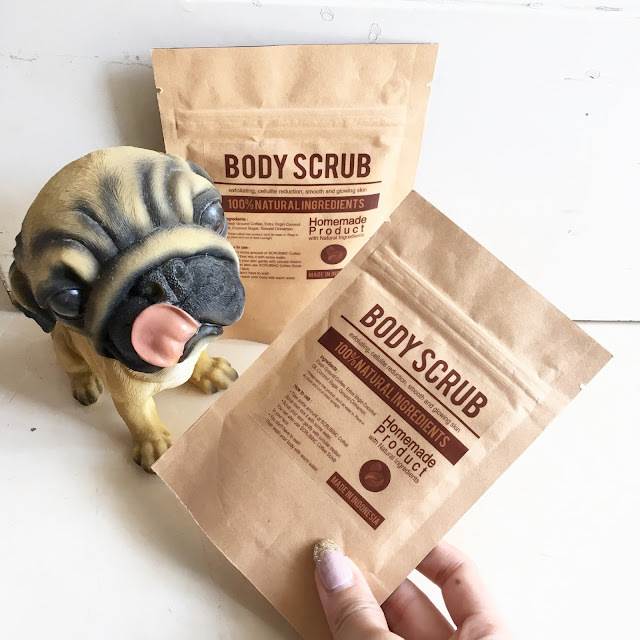 What i love the most is, we don't need to wait minutes doing nothing sitting on the toilet until the scrub is 'absorbed' to the skin, just like another usual scrub!! 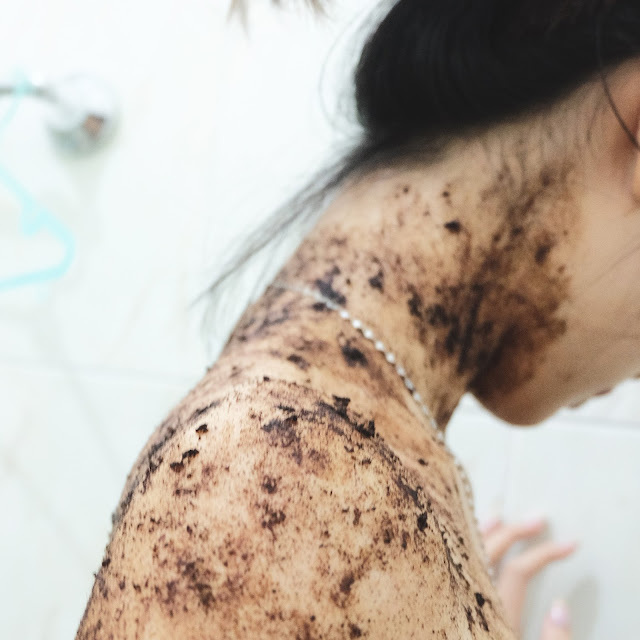 Coffee body scrub from Scrub Inc lets us immediately wash out all the scrubs on our body. 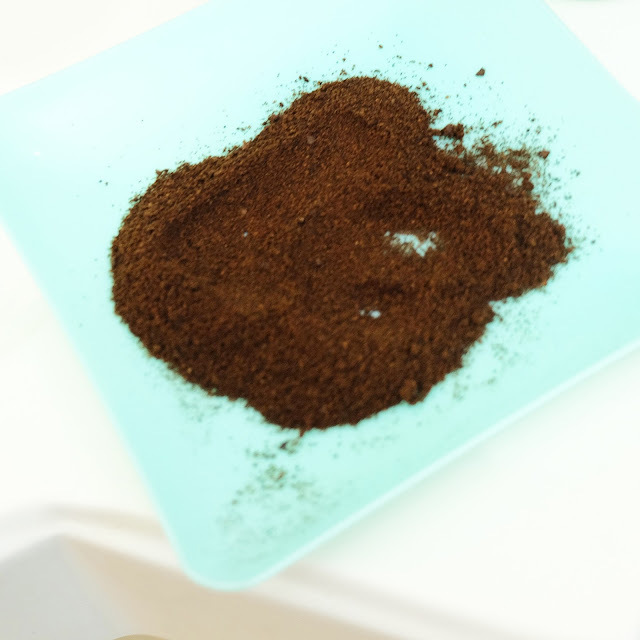 Just drop a little amount of water, so the scrub will not be too soft. 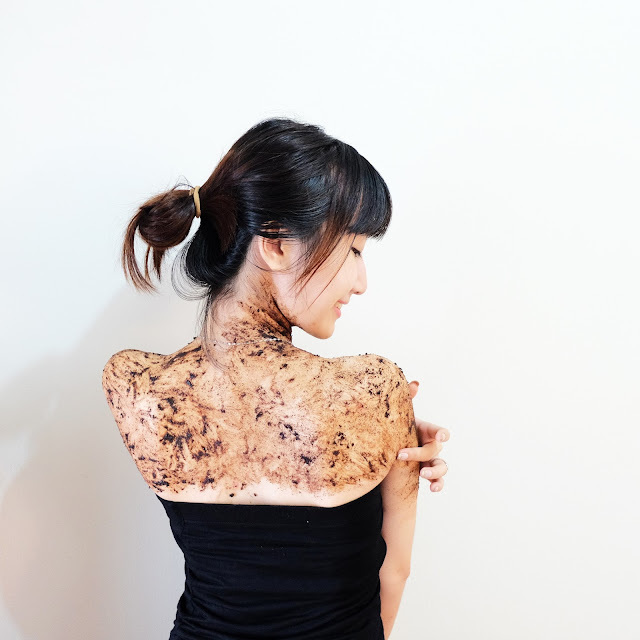 The function of the scrub should make your skin feel smooth and clean, that's why, you don't need to put too much water! 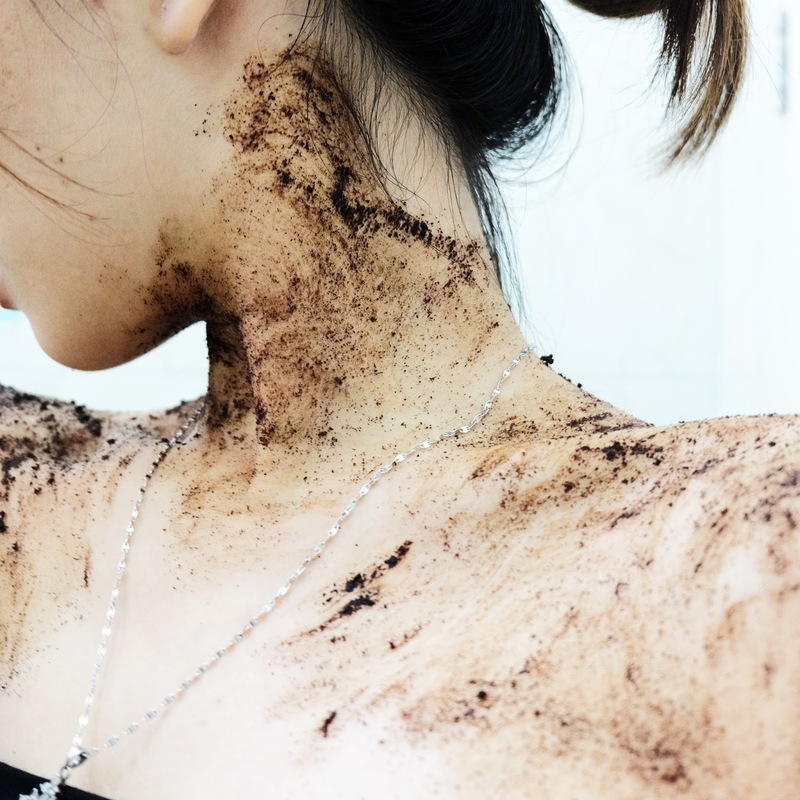 I dropped 1 teaspoon of water here, stir it all around and swipe it all over my skin, and started to scrub! Loving the texture and the smell as well! It left my skin smooth, clean and not greasy, but still feeling beautiful because i feel like i have treated my body well. Scrub Inc is very recommended!! Follow Scrub Inc on Instagram: @scrubinc to view more daily updates and the complete informations too! !